Today was the last day of the Annual Evans Family Reunion. I woke up at 6am to an equally beautiful sunrise as the sunset last night. I don't want to be a Negative Nancy, but I think it's important to remember details, even if they're not perfect. For instance, the air mattress Chris and I slept on decided to deflate during the night. That wasn't so bad, I still slept all right. Additionally, my body decided Thursday morning was the best day to see red to the extreme. That was embarrassing. But worst of all, while I was rolling up my sleeping bag, I pinched a nerve in my back which left me pretty much paralyzed and totally stressed out, seeing as how the next 48 hours are going to be filled with physical labor in the form of packing and moving. I took three painkillers (which did diddly squat) and forced myself to move around as much as I could before the 5 hour drive back to Provo. Three strikes aside, this year's reunion was so much fun. I love hanging out with the Evans's and playing games and seeing my only niece and nephew and half cooked other nephew. It was great to have Allie by my side. She's a good companion and makes me see things in a new light. Back in Provo, the time for packing began. I don't even want to talk about it. 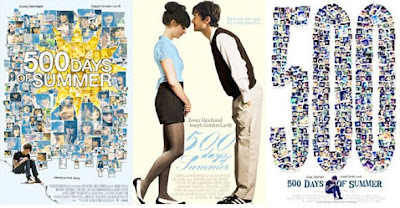 We called it quits pretty early and went to see 500 Days of Summer. Loved it. I will be purchasing it once it comes out on DVD. See ya'll again next year Evans's! It's Chris and my turn to plan the reunion. We're thinking either Washington or California. We've got plenty of time to decide, but one thing's for sure: it's going to be the best reunion yet!